The Linden Lab’s acquisition of Xstreet SL and OnRez – the two leading Web-based marketplaces for buying and selling creations for Second Life – will not lessen marketplace competition, according to Lab executives. And it could eventually lead to Xstreet SL retail virtual world products being made available to other grids, such as OpenLife, although this is not under active consideration at present. This was made clear at a Linden Lab in-world press conference (pictured above) during which there was a frank discussion of just where the organisation planned to take its most recent acquisitions, bought from Virtuatrade and the Electric Sheep Company for undisclosed amounts. OnRez will be folded into the more successful Xstreet SL entity following the acquisition which Linden executives say, rather than lessening competition, will increase retail competition through an easier user interface – both from a buyers’ and sellers’ point of view – being made available to SL creators and retailers. 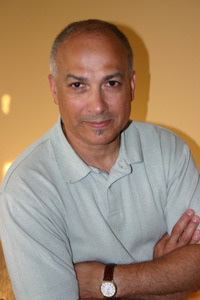 The more a virtual immersive experience is based on design strategies that combine actional, symbolic, and sensory factors, the greater the participant’s suspension of disbelief that she or he is “inside” a digitally enhanced setting, according to Christopher Dede (pictured), Timothy E. Wirth Professor in Learning Technologies, Technology, Innovation, and Education, Harvard University. But, SLENZers take heart, he added in his article, “Immersive Interfaces for Engagement and Learning”, further studies were needed on the capabilities of immersive media for learning, on the instructional designs best suited to each type of immersive medium, and on the learning strengths and preferences these media develop in users. Just what SLENZ is doing mate!! One should watch out for Dr Steven Hornik’s (SL: Robins Hermano) “Really Engaging Accounting: Second LifeTM as a Learning Platform” when he finalises the research paper. It will be a unique and important document for virtual world education researchers and providers. Hornik of the University of Central Florida’s Kenneth Dixon School of Accounting, uses SL to teach a financial accounting course titled Really Engaging Accounting (http://mydebitcredit.com). The aim of the project is to engage students in what is normally a very non-engaging course and ensure they develop basic accounting literacy. In the course, SL is used asynchronously to help students learn basic concepts related to the accounting equation: Assets = Liabilities + Stockholders Equity; to learn how to manipulate the equation using debits and credits; and to become debits and credits themselves as part of the T-Account Game. They also participate in weekly web-based lectures and other web-based learning. Taught since the fall of 2007 class size has grown from an average 250 to close to 900 in 2008, with 75-80 percent of the students completing assignments in SL. In a preliminary draft of his study of the course, albeit released inadvertently, Hornik (pictured left) said the courses have demonstrated that through the use of SL’s building and scripting tools, “environments can be created that in some cases lead to student engagement, and for those cases positively affect student performance”. This, “in the context of accounting which traditionally might be viewed as the opposite of engaging, provides an extreme example of the power of Second LifeTM to create socially relevant, immersive, engaging learning environments,” he said. Besides, Hornik said, the study also showed that one antecedent to successfully engaging the student is spatial presence. “Thus, when building and designing environments it is necessary to create places where students are able to perceive a sense of place and a sense of ‘being there’,” he said. But Hornik has one important caution. It would be wrong to view these new learning platforms completely through rose-colored glasses, he said, as there can be adverse psychological reactions to these environments, such as dizziness and nausea, and the results of this study show that if student experience these adverse conditions their performance suffers. “As we routinely test students for learning styles and direct them towards learning material best suited for their styles, we may need to direct certain students away from 3-D immersive environments if it is determined they are having adverse reactions,” he said. January 31, 2009 – 10am SLT – 2pm SLT, Info Island(http://slurl.com/secondlife/Info%20Island/112/105/33): Alliance Virtual Library Tech Fair 2009. Designed for educators, librarians, museum owners, and others who teach and/or create and provide information and exhibits to view the tools that are available to meet and hear their creators. Speakers: 10am: Eloise Pasteur, “Developing teaching tools in Second Life”; 11am: JJ Drinkwater, “Lowering the Barrier – The Library-Onna-Stick”; 12noon: Fim Fischer, Quiz System (Multiple Choice Board); 1pm: Buddy Sprocket, SLOODLE. A comprehensive trade exhibition will be held along with the presentations. Post-secondary school instructors who conduct classes fully in Second Life are significantly more satisfied than those who use Second Life as only a small supplement to a real-world classes, according to an international research project from the University of Florida, reported in the Winter 2009 edition of the International Journal of Humanities and Social Sciences. With respondents from 15 countries and 25 academic disciplines, the research paper, “Assessing the Value of Virtual Worlds for Post-Secondary Instructors: A Survey of Innovators, Early Adopters and the Early Majority in Second Life, was done by PhD student West Bowers (K. Westmoreland Bowers, pictured) Matthew W. Ragas and Jeffrey C. Neely, of the University of Florida’s College of Journalism and Mass Communications. The purpose of this study was to assess the value of Second Life among post-secondary instructors with experience using Second Life as an educational tool. Using Everett Rogers’s diffusion of innovations theory, survey respondents (N = 162), were divided into three adopter categories: innovators, early adopters and the early majority. The number of respondents from different countries and disciplines, the authors said, indicated the considerable potential virtual worlds, such as Second Life, had to be adopted across many different borders and in many areas of academe. The authors said no significant differences had been found in the instructors’ levels of satisfaction with Second Life as an educational tool or their perceived effect on student learning across adopter categories even though instructors who conducted classes fully in Second Life were significantly more satisfied than those who used Second Life as only a small supplement to a real-world class. “Overall, personal interest factors, rather than interpersonal communication factors, most influenced respondents’ decision to adopt Second Life as an educational tool,” the authors said. It appeared from the research that the instructors, despite their adopter category, found using Second Life in their curricula to be both satisfying and as having a positive impact on student learning. Respondents also had indicated that the more Second Life was integrated into the class structure, the more satisfied they were with it. they said. Specifically, instructors who conducted classes fully in Second Life were significantly more satisfied than those who used Second Life as only a small supplement to real-world classes. For administrators and instructors considering using Second Life as an educational tool, these results indicated that a fully immersive Second Life experience, rather than isolated experimentation, could be the most rewarding. Through studying the MMORPG, World of Warcraft, and other virtual worlds social scientists have come to realise that “real” and “in the same room” are just not the same thing, according to Alex Golub, a Professor within the Faculty of Anthropology at the University of Hawaii. Golub, who has previously done “immersive” anthropological research with the people of Papua New Guinea, similar to that done early last century by Bronislaw Malinowski, has been using the same techniques to study the culture of raiding in WoW. “My unique angle is that I am doing anthropological fieldwork in WoW, living and playing with a raiding guild and putting in 20+ hours a week keeping them healed and decursed,” he told WoWInsider’s Lisa Poisso in a recent interview. With his main research themes “American cultures of self-control, efficiency, masculinity and success amongst players of WoW,” he said, he is studying how guys behave badly in Vent, and how/why people become emo and/or talk about why other people are emo. “I’m interested in how you get a group of 25 people to keep calm and collected as they try to do something really emotionally important to them, which requires relying on other people when its difficult to see them face-to-face,” he said. It may come as a suprise but IBM is developing a prototype Virtual Worlds User Interface for the Blind. The prototype “accessible rich Internet application” (ARIA) gives blind users the ability to participate in many virtual world activities. According to IBM the interface provides basic navigation, communication, and perception functions using GUI (graphical user interface) elements that are familiar to blind computer users. 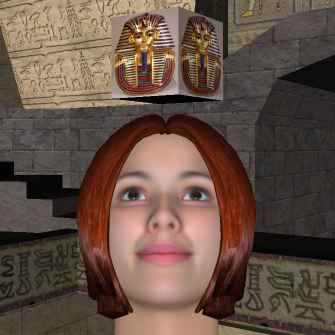 As a way of enriching the virtual environment with descriptive semantic information, sighted users contribute annotations of virtual objects and places using a scripted gadget equipped by their avatar. These annotations are then made available to the blind users through the special user interface. Although this interface for the blind is a GUI and can be used by sighted people, the virtual world space is not rendered pictorially. Instead, all information flowing to the user is text-based in order to allow compliance with ordinary screen-reading technology. Recorded verbal descriptions are also played for the user. Currently, the application interfaces only with the Second Life platform; however, IBM says, as a long-term goal, it might be possible to make this user interface portable to more than one virtual world implementation. If successful, that portability would enable blind users to learn only one client application that is specifically tailored for their needs rather than learning a separate new application for each virtual world. January 25-30: Linden Lab’s Inaugural Education Support Faire, in Second Life, at Supporte /151/152/36, designed to bring together educators, academics, and students to explore the support mechanisms available to residents who use Second Life to enhance real world educational efforts. The venue is designed around a natural atmosphere with trees, rivers, and beaten paths, highlighting the theme of ‘Ecosystems of Support.’ A final list of scheduled events and participating/presenting Resident Support Organizations will be emailed to the SLED mailing list on January 21. Second Life provides options for multi-modality in communication that “make learning fun – always a desired outcome,” according to two Finish researchers. Reflecting other research Kim Holmberg and Isto Huvila (both have researcher/lecturer roles in Finland’s Department of Information Studies, Åbo Akademi) found that, although virtual learning is reshaping what happens in the classroom and will be a valuable add-on learning tool in the future, Second Life and other virtual worlds can never fully replace in-class learning. 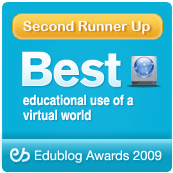 But they said, “To place Second Life, Web-based learning environments and face-to-face education in order according to which one is the best is hardly useful. “According to the results of this study, the three learning environments compete very well with each other,” they said. “There are benefits in face-to-face education and in real physical presence that are difficult to achieve in other learning environments. Interestingly of the 30 students that participated in the study of a course in information studies – 28 female, two male – few had difficulty navigating through SL and most felt that it was superior to other Web-based learning environments. 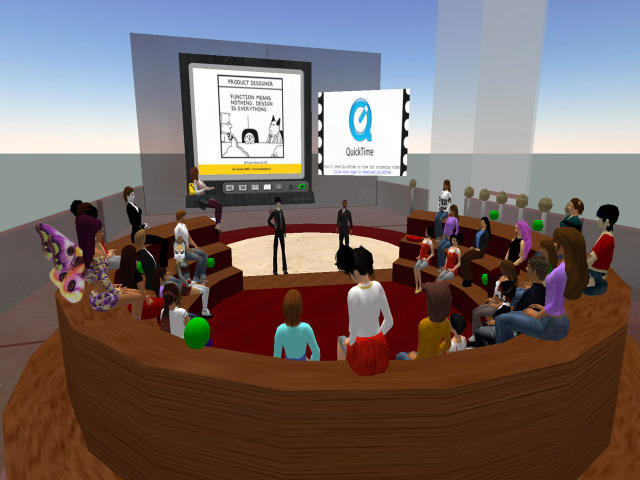 Second Life was used as a platform to deliver lectures and as a place for organising group assignments and having discussions. “One reason why the barrier to participation in Second Life was lower may be the fact that SL provides means for multimodal communication, even in-world,” the two researchers said. “Students could use text-based chat inside SL to ask questions and participate and the teacher could answer and respond at a suitable time without interruption. It is possible to communicate through different channels at the same time, and students can use a channel that best suits them. Another possible explanation might be that the use of avatars gives students some level of anonymity with students ‘hiding’ behind their avatars. But they added, provided that participating face-to-face education does not require too much travelling and learning outcomes are satisfactory, “Second Life does not necessarily provide any significant benefits, at least not when using it only as a platform for lectures and teamwork. My belief that the creation of a universal generic browser (carrying assets) will be the key to the widespread adoption of virtual worlds received somewhat of a setback this week with Wagner James Au reporting in Newworldnotes, about a leading open source developer creating a non-SL compatible viewer. Asking whether there was a fork ahead in the road to the Metaverse (http://nwn.blogs.com/nwn/2008/11/a-fork-in-the-m.html#more) he wrote about KirstenLee Cinquetti’s, development of the Openlife R16 viewer, (pictured, courtesy nwn) which, although based on the original open source code of the SL viewer, only works with Openlife. Au said the move was significant because the work by Cinquetti, previously renowned for her SL-compatible viewers, especially her dynamic lighting-enabled Shadowdraft viewer, could complicate attempts by Linden Lab, IBM, and other organisations to create full interoperability between Second Life and OpenSim servers as well as possibly lead to browser wars a la the early days of the net. Every educator believes they are working not only for the good of their students but also for the good of the world and even the universe. When originally announced four months ago by Mitch Kapor the prize was described as rewarding “superlative achievement” exemplifying the mission of “elevating the human condition” through using SL. “We expect and want to create a wide funnel of people thinking, ‘Hey that might be me,'” said Everett Linden (Everett Harper in RL and Linden’s Director of Community Initiatives). He said entries were expected from people in healthcare, people-creating communities with real impact, scientists with psychological studies, people with diplomacy projects, and architecture among other things. “The key thing is that can you document tangible evidence of improving and having a good impact on people’s lives, and I say that broadly,” he said. “And it’s got to be compelling and high-quality, from compelling to aesthetics to technical to pure execution. It should really have a sense of being influential to creating future development across virtual worlds into the real world. ” Applications close January 15, 2009, with the winner and finalists announced no later than April 30, 2009. For those of you who missed it previously Jennifer Ragan-Fore (SL:Kittygloom Cassady), SLEDcc Co-Chair, has again provided the slurl of the streaming pages and blogs of the successful “edu track” of the Second Life Community Convention in Tampa. http://sledcc.wikispaces.com/Audio+Visual+Archives; http://www.google.com/search?hl=en&q=blog+sledcc08&btnG=Search; Flickr uploads http://www.flickr.com/groups/sledcc08; RezEd discussions http://www.rezed.org/ ; and tweets http://twitter.com/sledcc . And, in Second Life, according to Kemp, where a group of students meets at the same time online, there’s a sense of embodiment, a feeling of being in the classroom and a sense of presence. November 17, 1-5pm (SL time) “Real World Impacts from the Virtual World” including a “sneak preview” of John D. and Catherine T. MacArthur Foundation’s new sim “Foundations” should be of interest to educators and researchers. 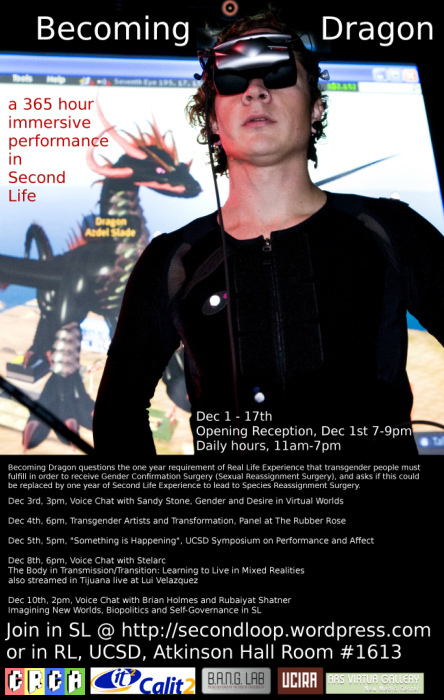 Interactive events covering how groups use virtual spaces like Second Life to build opportunities in preserving native peoples’ cultures, creating accessible spaces for people with disabilities, helping obese people make healthy life choices and teaching underprivileged youth about paleontology and science. Venues: (http://slurl.com/secondlife/Foundations/119/233/36) and the neighboring archipelago that includes the Network Culture Project, Justice Commons (http://slurl.com/secondlife/The%20Justice%20Commons/134/130/29) and Aloft Nonprofit Commons (http://slurl.com/secondlife/Aloft%20Nonprofit%20Commons/88/52/23/).